Today we have Gonzalo Juarez, the founder of eTips. They make incredibly beautiful and helpful travel guides. If you’re going to New York, to Paris, to so many other cities around the world you should check them out and see what they’re creating. They make it easier and more fun for travelers to understand their environment. 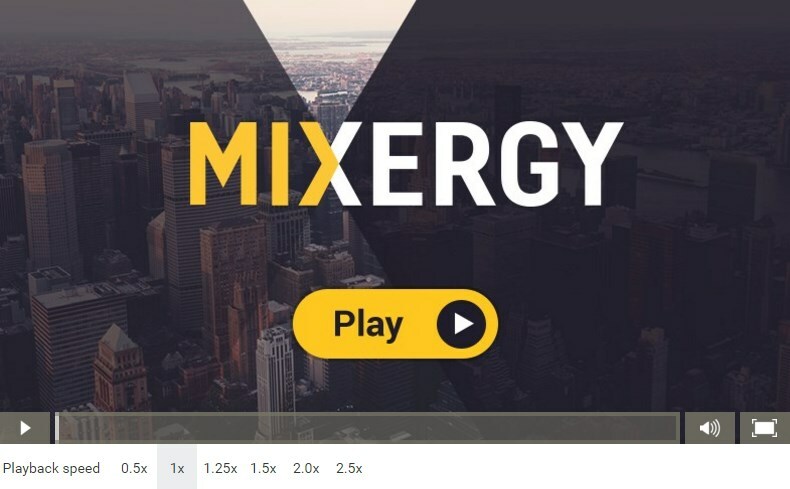 I invited Gonzalo to Mixergy to tell us how he did it. Gonzalo Jaurez is the founder of eTips, which makes incredibly beautiful and helpful travel guides. Andrew: Hey there, freedom fighters. My name is Andrew Warner. I’m the founder of mixergy.com, home of the ambitious upstart. And a lot of times when we talk about successful mobile app companies, it seems like all we talk about are the Instagrams of the world, companies that are worth a billion dollars or more. But the truth is under that billion-dollar valuation, there are companies that are doing really well, that are profitable, that are successful and growing, like today’s guest in the business that he established. Today, I’ve got with me Gonzalo Juarez. He is the founder of eTips. They make incredibly beautiful and helpful travel guides. If you’re going to New York, to Paris, to so many other cities around the world you should check them out and see what it is that they’re creating that makes it easier and more fun for travellers to understand the environment that they’re in. And this whole thing is sponsored by Toptal, toptal.com. Look, imagine you’re listening to one of my interviews and you say, “I want to build a mobile app. I want to build a business just like the person who Andrew’s interviewing.” But you don’t have the programming resources, either because your developers are already engaged in other projects and they don’t have any more capacity, or because you just don’t have developers and it’s going to take too long to hire them. Yes, it’s true. I don’t deny you could go online and look for freelancing websites, look through them and find people. But you’re going to have to go through a ton of people and you’re going to have to often trust that the ratings are what they are, do a lot of tests and then maybe wait a month or three months before you know whether the project you worked on is actually completed properly. And yes, you can start hiring. But frankly, I’m here on Silicon Valley and I see how tough it is to find developers. So let me suggest another way: go to Toptal. Toptal is a network of top developers. You tell them. They’ll give you a rep, you tell the rep what you need, you tell them the culture you have, you tell them how long you need the developer to work, and they will find you someone who they’ve pre-vetted, pre-screened, pre-tested. And that person, if they’re a match, can start working for you often the very next day. Go to toptal.com, and I’m grateful to Toptal for supporting Mixergy. Toptal, like top talent. Gonzalo: Hi, Andrew. How are you? Thank you very much for your introduction. Andrew: It’s good to have you on here. By the way, you’ve got an accent. Where in the world are you? Gonzalo: I’m in Argentina, right at the north of Argentina in a city called Salta. Andrew: And you’re building this business from Salta with your computer plugged into the rest of the Internet? Gonzalo: No, I started when I was living in Switzerland. My brother, Sebastian, who is the co-founder, he was living in Spain at that time. And then I moved back, four years ago, to Salta. I wanted to raise my kids around their grandparents. Andrew: Makes sense. You and your brother are partners in the business. Sebastian is your brother’s name. He worked at Gameloft. What was it about his experience at Gameloft that “boom,” said, “Here is an idea for what business we should be in.” What was it about his business? Gonzalo: Well, he was the commercial leader for South America for the gaming industry and he was seeing the numbers every day. Every day, he was watching these incredible numbers going into the company. Like he was . . .
Andrew: Numbers of what? What was Gameloft doing? They’re a gaming company. What were they doing that got such high . . . I’m assuming you mean revenue numbers, right? Andrew: You’re in. And here’s one of the reason why you said, “Yes, I’m in.” He was at Gameloft and they were doing, here’s what I see in my notes, $3 million in two months for what you guys considered crappy games at the time. That is huge numbers for those little Nokia games that, like you said, are just kind of crappy. You were in Switzerland at the time? Gonzalo: No, I was in the States at the time. I was finishing my university degree over there. Andrew: And working for HP. Gonzalo: No, after I finished I started working for the university, and then for HP . . .
Gonzalo: . . . for another university in Switzerland. Andrew: And you’re going to continue working while you guys are creating this new business, right? Gonzalo: Yes, we were working at the same time. Well, he was working more part-time at this new eTips. Our company’s name is eTips. He was working on eTips part-time and then part-time Gameloft. I was working full-time at that time for HP, Hewlett-Packard, because I had a three months interview as a Director of Admissions for Financial University in Geneva and then I suddenly leave for HP. So at that time, my brother didn’t want any input from me at that time. But I was supporting him. Andrew: I imagine you guys are close. You grew up together; you had a dad who encouraged you guys, essentially to be entrepreneurial, right? Gonzalo: Yeah, well, my dad is a doctor. He has always told us about being able to do any kind of business for ourselves, being independent. Gonzalo: Well, I think because that’s what he did. I think he compared himself to his brothers. He probably didn’t do that well and they were all working for different companies. I don’t know the reason behind that, to be honest. But I think it was a very good idea. I always wanted to follow him. Andrew: And meanwhile, you went to work for HP as a guy without entrepreneurial zest instilled in you from an early age. Did it kill you that you were working for HP? Or did you say, “I can’t do that”? Gonzalo: Well, I needed to live, you know? Andrew: I see. You needed the money. It was just practical. Gonzalo: Yeah, I’m a very practical guy too, to be honest. I can do anything while I’m doing something that I like, you know? Andrew: Okay. So the company was called eTips right from the start but you weren’t creating guides. What was the first set of products that you guys decided on? Gonzalo: We were creating small books with tips about anything. About life, self-esteem, how you come to a girl. It’s like different kinds of tips, very common sense tips, you know? We have this friend who was a very intelligent guy who would ask any kind of joke. We were like, creating jokes or anything. Like small books, you know? Andrew: So you were sending the whole book to people’s mobile phones? To their little Nokia screens? Gonzalo: Yeah, they were very small. Andrew: Why didn’t you get into games? You saw well Gameloft was doing. Gonzalo: Well, because my brother told me that the game for Gameloft was taking a year to be built. We didn’t have that time and plus he was a developer part-time and part-time he was still working for Gameloft, you know? Andrew: I see. And so it would take too long for people who weren’t fully in the business and who needed revenue up-front. So you came up with the tips, you were sending the whole tips. Where was the revenue going to come from? Gonzalo: That’s the funny part. We called them aggregators. So they were in the middle between the customer and the cellphone company. So those were the guys that were doing the advertising, advertising different games or these small books. So we were taking a piece, a percentage, out of those. But it was very hard to cash that. It was incredibly hard because we were, having interviews. We have this guy in Argentina physically going to different interviews just to get paid, you know? It was a very indirect model. Andrew: So they would buy . . . I think in the old days what would happen is, they would run ads on television or newspapers or wherever else, trying to promote these apps as we call them today, and whenever one sold, the maker would get a percentage. Is that the process? Gonzalo: That’s the process. Yes. Andrew: And you’re saying, not only is it that hard but it’s even work to get your money, the money that you’ve earned. Andrew: I see. And that’s the world you guys were living in. Gonzalo: And you needed to trust 100% of the numbers they said you got. That’s the hardest part. Andrew: Unbelievable. At your height, how much money were you bringing in from these tips sold? Gonzalo: To be honest, almost nothing. Andrew: And then Steve Jobs gets up on stage. He says, “Guess what, this phone that you guys were all expecting that some people call the Jesus phone, it’s coming out soon.” And you saw it and said what? Andrew: Why did you say nobody’s going to buy it? Gonzalo: I don’t know. That was huge because my brother said, “Okay. In order to build something for iPhone, we need to stop doing what we are doing.” So I said, “Let’s wait. Nobody’s going to that phone, you know?” Three months after, it was huge, huge numbers were coming in. There were stories about developers making 250k in maybe a week. So it was huge. Andrew: And unlike those other resellers, you can trust Apple’s numbers. Yeah, and so they have more revenue, more trust, more exposure, more excitement, and that’s when you changed and you said, “You know what? On second thought, the iPhone could do well.” But when the first version of the iPhone came out, Gonzalo, there wasn’t an app store; there weren’t people who were doing quarter-of-a-million dollars in sales from selling apps, right? Gonzalo: No. Well at the beginning, I don’t believe so. But after a week, there was an app store. Andrew: They didn’t have the app store within the first release of the iPhone. Gonzalo: Well, in the few weeks later, yes, they did. Gonzalo: Yeah, I think so. Andrew: I could have sworn at first they said, “No, no native apps. It will be only apps that are HTML5 or just webpages that you can save on your home screen. Gonzalo: I don’t remember that, to be honest. I remember this guy who made like 250k a week for a very small game. Gonzalo: So that came to my mind like, “Okay. We need to make one dollar at least.” We were in Europe at that time. We were travelling a lot. I was with my wife at that time, travelling along with no kids. And I love to travel. I think travelling is an investment. It’s a very good investment to go. Andrew: Do you travel even with kids? Gonzalo: I travel even with kids right now, yeah. Andrew: So here’s what I got from Wikipedia. June 2007, the iPhone launches. July 2010, about a year later, the app store launches. So it sounds like what really got you is not so much iPhone launch. It’s the app store launch and the revenue that the people were making from that. Gonzalo: Well, I don’t know how we did it that time to be honest. Andrew: I could be wrong. You’re in the business. Gonzalo: I don’t remember how we did it at that time. My brother was a developer. I remember 2010, it was a year before I came back to Argentina and it was before that that we were already doing the guides. So I don’t know how we uploaded at that time. I don’t remember to be honest. But what I do remember is that we decided to do travel guides at that time. Andrew: Why travel guides? If you were doing this relationship guide, self-esteem guide, all that other stuff. Why not continue that and bring it to the iPhone, why did you decide to go travel guides? Gonzalo: Because we love to travel and we saw that the travel industry, which was a big hit in Europe because every city you go in Europe, you are able to buy different maps, different travel guides paper-wise. So I used to hate to have a map with me, like the map for the street maps, then the metro map, then train map, and then the travel guide to know where I should go and visit. So the main idea was to put everything into one single app so a traveller can have it in their pocket. One app with all these different features, maps and descriptions, and where should I go. Andrew: It seems like at that point by making that decision, you really got serious. That before you were thinking, “What’s the easiest thing for us to launch and will do that? Tips. Great, we’ll do tips.” But once you decided, “I’m really passionate about travelling. I have a problem when I travel, which is that I hate to have a street map, a subway map, and all these other guides. I’m going to create the thing I wish existed in the world.” That’s when you really got serious. Am I right? Gonzalo: Yes, you are right. Yes. Andrew: So it’s not easy to put that together. If you’re talking about a few little tips, you can go online, find them, compile them into a book and put them out. What did you need to do in order for you to create your first travel guide? Gonzalo: Well, I used to love the city of Paris. At that time, I’ve been in Paris around 10 times and I knew it very well. My friends back home in Argentina were asking me if they go to Paris, where should they go visit. The first travel guide, I did it in Spanish. I wrote the travel guide, to be honest. Because I know a lot of history about Paris and I like the architecture of different places. So I put the travel guide by myself. Andrew: That if you can get $1, or I guess it was $5 in the first day is what I see in my research, if you could do $5 in a day from one, what if you had 10 of them? Could you do $50? If you had 20? Could you get to $100? And better still, it all is actually yours. You’re feeling like, your bosses at HP don’t get a cut of it. It’s just Apple, and you, and your brother. Gonzalo: Yeah, that was beautiful. Actually, my boss was very cool at HP. I loved my boss at that time and I shared the number with him. Andrew: And even he was excited for you. Gonzalo: Yeah, “Expect me to leave in a year’s time,” I said. Andrew: What an interesting outlook. Other would have seen $5 and said, “Ugh, I didn’t make the same amount of money that I read everyone else is making. This is not going to work out.” And if I would come to them and shake them and say, “Look, $5. If you got $5 today, you can get it to $100 tomorrow or sometime in the future and then grow it,” they’d say, “Oh, you’re just being too much of a Rosy Pollyanna Andrew. It’s not going to work out like that.” But you did take it that way, you said, “If I could this, I could do so much more. This is the first step.” So what is the next step? You know what, actually one more thing. I started by introducing you as having these beautiful travel guides. And it’s not just me. Apple thought they were beautiful enough to feature them. But what did you think of the design of the first version? Gonzalo: It was ugly, to be honest. It was black and white, no images, only words. If you compare it to today’s interface, it looks ugly. It would look simply ugly. Even the icon looked ugly at the time. Andrew: Were you proud of it at the time? Gonzalo: Yes, of course. We even had to buy a used Mac. We didn’t even have a new Mac or anything. We didn’t have the money. We just bought a used Mac. That was what we had done with that computer so we feel proud of it, to be honest. I didn’t know how we could become what we are today. At that time I just wanted to make some money out of it, you know? I wanted to quit my job at that time. That’s it. Gonzalo: Yeah, that’s true. And in Argentina, there’s not much common sense. Andrew: No logic in it. I remember buying jeans that were made there and I said, “Okay, they probably put tariffs on the jeans so they could sell their own jeans. The jeans ripped within like two months to buy another? It made sense for somebody to create jeans in Argentina to compete with jeans around the world because all those other jeans cost too much to get in there. What? I guess that’s for jeans. I don’t think it makes sense to fine for jeans. Computers? Gonzalo, they should be showering you with computers. Gonzalo: I know. I have problems even buying an iPhone in Argentina. There’s no Apple Store. Andrew: Yeah, oh I tried to bribe a guy. I went to the ATM; I took a stack of cash. I said, “Look, you won’t sell me one because I’m a foreigner. I’m going to give you cash, find a way.” They still couldn’t find a way to do it. Gonzalo: Yeah, and it’s still like that. I don’t know when you came to live in Argentina but it’s still like that, man. Gonzalo: It is. Especially when you’re trying to build a very successful business. But anyways, I mean you get used to it, you survive, you know? Andrew: I met this woman there who was beautiful but that’s not why all the guys wanted to talk to her at the party. It’s because she worked in customs . . .
Gonzalo: Well, that’s true, man. Gonzalo: I crossed the border to Chile last week and it was only 100 miles from the city to the next one, and we took five hours. We spent three hours in the border just to cross. They’re our friends, you know? This is Chile; it’s right next to us. We have common treaties. Anyways. Andrew: Great people, weird government. Andrew: So your first app, you’re feeling good about it, the revenue’s coming in; you see the future, what’s the next step? Was it to change that one app? Or to launch a second app? Gonzalo: No, we launched several apps. We launched five apps. It was Barcelona, Madrid, London, and Geneva. Geneva was where I was living, so it was easy to do. Andrew: Were you used to writing in all of these apps? Gonzalo: I was writing most of them and my brother used to help me, and even my mom helped me at that time. Andrew: Wow. So you guys wrote it, your brother, I’m guessing, coded up the app while you created the content with your mom and your brother’s help. Okay. You put that in the store, did it do what you expected it to do? Gonzalo: Yes, we were doing around $5 dollars per app at that time. It was easier at that time, to be honest. Because I’ve seen the numbers today and there’s more competition, the people really want very good-looking apps, and there’s more competition and it’s even harder right now to make the money than before. But at that time, to be honest, I don’t remember how the app store looked like. But today I’m an expert in ASO, app store optimization, and at that time, I used to put very long keywords, a very strange name, and a very weird description and I got downloaded. Andrew: That’s what did it. So you called, actually I see it in my notes, it’s called ASO and I had to go look that up. I said, “What is ASO?” ASO is? Andrew: App store optimization. And the guy who introduced us, Steve Young, runs an agency that does app store optimization. I should say that. And the only reason you and I connected is because Steve of Appmasters.co, he does promotion, app store optimization, and other things to get that covered. Gonzalo: And he has this great book too, to be honest. Andrew: And he’s got a great podcast where, I think, you appeared there before here. Andrew: Right, because he focuses obsessively on mobile. The guy is so into mobile. Gonzalo: No, he’s a guru on marketing as well. He’s a very sharp guy, to be honest. Andrew: I can’t believe that to this day, you still need people to show you marketing and Steve is one of the guys you’ve talked to. Gonzalo: Yes, well actually, marketing is not an area that we are very good at, to be honest, on eTips. I’m not very proud of it because we haven’t done any marketing at all since the beginning. That way all of our downloads are 100% organic. So 100% of people who go to the app store and look for an app related to one city. So this is something we need to change. We haven’t done it because of the daily routine, you know? Andrew: You know what, that’s one of the things I noticed in researching you. It was very hard to find even articles about eTips. Gonzalo: Yeah, five-letter domains are hard to get, man. Andrew: How much did it cost you to buy eTips.com? Gonzalo: I don’t remember. My brother did that. Andrew: Are we talking tens of thousands of dollars? Gonzalo: No, not even a thousand. Andrew: And you got it right from the start when you launched the business? Gonzalo: I think so. Now that you’ve mentioned it, I think there was somebody who owned it at the time and we bought it from him. It wasn’t around a thousand dollars now that you’ve mentioned it, I can’t recall. Andrew: And what a great name. So you guys aren’t, and you weren’t back then, doing a lot of promotion. Gonzalo: No, we haven’t done any promotion at all. Andrew: But you were hustling. You were in the app store before people had gotten in there, you created those long keywords back when that was as basic as you could get. Your goal was to make $6000 a month. Why was $6000 the main goal at the time? Gonzalo: Because with that money, me and my brother could quit our jobs. Andrew: I see. Both of you together, and live in Argentina. Gonzalo: I live in Argentina, yes. Andrew: Because I was going to say, if you come here in San Francisco, that’s about my rent every month. I’m not even kidding that is [Inaudible 00:25:22] city here. Gonzalo: I know, that’s the reason I need to make more money, to go live over there. Andrew: Yeah, it’s a crazy city that way. So you were charging for the app at the time. That’s why the revenue came in. I remember back then people would pay $700 for the first phone, less but still a lot for the later versions. If you charged a couple of bucks, what did people say to you? Gonzalo: Actually we charged, at that time, $5 an app. Andrew: Five bucks. So what did people say about the $5 charge? Gonzalo: At the beginning, they didn’t say anything, to be honest. But then when the new iOS came out, like new apps were coming out, they were really getting frustrated about paying and not seeing the content they wanted to see. So they were writing bad reviews, bad emails to us like, “You’re charging a lot,” and so on and we started to read about different people making different apps, about how much they charge at this firm price point, and how much you should charge. But we stayed with the $5 for a long period of time actually. We were updating our app with beautiful content like new maps, new photos, and HD quality. And at that time, three years ago, Apple used to shut down the company and they used to not show you the numbers for a period of a week to 10 days. We went blind at that time. So we just went half the price, blindfolded, and wait. So that was a strange Christmas and New Year we spent together with my brother because we were saying, “Happy New Year, let’s see the sales tomorrow.” And the next day, we saw sales and we just saw spikes. Like, beautiful spikes and we decided to keep the price at that time. Andrew: Do you remember roughly where the sales had gone to after that? Gonzalo: Well, we used to sell around a hundred dollars at that time every day and we had peaks for a thousand dollars a day. Andrew: A thousand bucks a day. That was not typical though. It was peaks of a thousand. Gonzalo: There were peaks of a thousand. It was typical to sell more but not big like 10 times more, you know? Andrew: And that’s per day from all the apps together. Gonzalo: Yes, at that time. Yes. Andrew: And what you do is that each one of your guides is a different app that people can download and have on their phones or iPads. Gonzalo: Yes, we have a different portfolio right now. We have different city guides, which is a guide for one city. We have different, we call them, mini apps that are small guides for a certain place of interest. For instance, a museum. We have the Louvre, for instance, in Paris. And we just launched a new travel market store, which is one app that you can download different maps, different travel guides from within one app. Then we have maps offline, which the only thing we do is some rough offline within a map. So our portfolio is very wide right now. We have more than 200 apps right now. Andrew: It’s interesting that a lot of this stuff really could be into one app. But you’ve decided to go for multiple apps. Why did you do that? Gonzalo: Well, at that time, we didn’t have in-app purchases. The app store didn’t have in-app purchases at that time. Andrew: Oh, in-app purchases, right. So you had to sell them individually. Today you have one and let people buy different cities separately. Gonzalo: Yeah, we could have one app at that time but it was going to be a huge size binary. Andrew: Right, and you also had to download the maps for each city beforehand because Apple limits how much can be downloaded when the app is first installed. You get to about a $1000 a day, is that enough for you to quit your job? Gonzalo: No, that was for Christmas break. Andrew: Christmas break and then it goes down. So it’s not enough for you to live on. Gonzalo: But we’ve passed from $100 per day to $200 to $300 a day at that time. Andrew: All right. So that got you to maybe $2000 a month. You told our producer before this interview that you hit $20,000 a month just before your son was born. Gonzalo: Yes, that was two years ago. Andrew: What did you do that suddenly let you jump up so much? Gonzalo: We focused on ASO, to be honest. We focused on localizing our apps. Localizing means that a guy from Russia sees what he’s going to buy in Russian, screenshots, previews, and description. In the app store, you have 28 regions so we could localize for each single region of our apps. Andrew: How do you localize for all 28? Gonzalo: We hire some translators. Andrew: So you have, what is it, three dozen apps? Gonzalo: No, we have 25000 apps. Andrew: But that’s including all the localization. Gonzalo: No, that’s only the apps and each app is localized into 28 regions. Andrew: Oh so over two hundred different apps and then they’re each localized to 28 different regions. Andrew: Unreal. So let’s go back to the design. Gonzalo: Let me stop you right there. Localization doesn’t mean that the app works in 28 different languages. Localization is that the app you uploaded to the app store is localized into 28 different regions. Actually people see the description and the screenshots in 28 different regions but our app is not localized in Turkish for instance. Andrew: I see. So they see the app in a Turkish app store but it’s not in a Turkish language in that app store. That’s what you mean. Andrew: But in the Russian app store, it is in Russian. Andrew: How did you know which countries to localize the language for and which ones are to say just aren’t worth the investment? Gonzalo: We just decided to do it for all of them and we translate our app into 11 different languages. Andrew: So how did you pick the 11 different languages? Did you have any method for figuring it out? No. Gonzalo: Yeah, and we put some focus on it once that where we were getting downloads from. So Russia. Russia’s a big country, Italy’s a big country because you figure out that nobody speaks Italian besides Italy, you know? Italians, they don’t speak English often. So Italians are looking for a travel guide in Italian. Andrew: This is very similar to what Howard Schultz did when he started to create Starbucks stores. He had an online mail order system for selling Starbucks coffee and wherever he saw a lot of purchases from the online mail order business, that’s when he said, “That’s the city we should go into because there clearly are coffee fans there and they like our coffee.” So you did something similar. That’s kind of where I was getting at. What about this? I want to understand your method for improving the design. The design seems like one of those talents that you either have or you don’t and when you started, you did not have that talent. Where did you get the ability to design? How did you figure out how to master that? Gonzalo: Well we hired one designer four years ago. We had the idea in our mind, we wanted to do a travel guide with a retro style, you know? Like the ones where you just put pins and stamps. We just wanted like, a blackboard with pins and stamps. And then two years ago, we went to the Worldwide Developer Conference in San Francisco and the iOS 7 was coming out. And I remember the conferences and the talks we had over there and people from Apple who were saying that when iOS seven came out, the graphics are going to become more important, the graphical point of it. So pictures are going to become more important. So we decided to go with big pictures HD quality pictures, and we hired another designer two years ago and that’s the guy who designed our apps that are out today. Andrew: What about the user experience? I don’t know if I could really show this and I don’t want to make Mixergy into a place where we do show the apps. I want it to be about the conversation. But it’s easy to swipe to get to where you want, to see the pictures, to also get the different parts. I’ve got now, Los Angeles up on my screen because LA is such a diverse city. Downtown LA is so different from Santa Monica even though they’re close on the map. So I wanted to get a sense of what that looked like. It’s not easy to show the different parts of Los Angeles. Who did the user experience? Gonzalo: I think the developers. Andrew: You the let the developers do that? Gonzalo: Yes, but we did do some tests before that. Actually the user experience has improved right now because the back bottom, sometimes you need to back and back again, you know? Andrew: Yeah, I see a back button here. I guess I expect I’ll also be able to swipe by going off the screen because Apple’s trained me to that. Swipe off the screen to go back. But you don’t have that. Andrew: Okay, so do you any tests for your developers to make sure that they have the design skills that you need? And we were trying to study their first reactions to the app. You know, one of the first reactions was to swipe the pictures. At the beginning, they were fixed pictures. You couldn’t move it. And then we said, “Okay, we need to go with the swiping.” So that’s how we test today. We do some test flights and we really learn about our customer’s experience because you have bad reviews, you have good reviews, and you have bad reviews with very nice content. “This is bad because of this and that. You should move to this and that.” And we listen to our reviewers. Andrew: Yeah, one of the things that your reviews asked for was downloadable maps so that if for some reason they were out of Internet range because they only had Internet at the hotel but they didn’t pay for a SIM card, they’d be able to do it. And I could see how you learned by looking at the comments. Gonzalo: And right now, it’s 100% offline. You don’t pay for roaming costs. Andrew: You know, the one weird thing about the app is that the hamburger, you know, the menu item? It’s in the left on the center as opposed to at the top. Gonzalo: Okay, yeah. I don’t know which version you have because we are changing every week. Andrew: I see. How many people are working for you guys? Gonzalo: Well right now, we are 14. It’s very different to have a fixed head count because we have people going out and in. But we have 14 right now and we have around 10 to 12 developers, freelancers, every day. Andrew: And are all in Argentina? Gonzalo: The fixed employees, yes. The freelancer, no. Andrew: Isn’t it hard to hire people in Argentina? Andrew: What are some of the challenges involved in that? Gonzalo: Well, you have pros and cons. The pro is that it’s a low-cost location if you compare it to the States or anywhere in the world, to be honest. And then the con, which is the government. You pay for a guy, legally he’s working for you and stuff, and the syndicates come out, and you pay so much tax for one employee. Andrew: Are the syndicates like unions? Gonzalo: Yes, those are the unions. Andrew: And you have to still pay for the union ever though the guy doesn’t necessarily want to be a part of the union? Gonzalo: Yeah. And plus, they do holidays and stuff and it’s very hard, to be honest. Andrew: And if it doesn’t work out? Gonzalo: To be honest, I don’t recommend anybody to have employees around here. Andrew: I used to have entrepreneurs who heard me on Mixergy come to Argentina and they said, “What’s it like to start an office here?” And some, frankly, they did because it’s inexpensive, people speak English, it’s in the same time zone. There are a lot of reasons to work with and to build offices in Argentina but there are also a bunch of challenges, a lot of them that are shocking. Gonzalo: I think we have very good material in terms of knowledge, you know? The people know a lot here, they are very well educated. But in terms of an employee being 100% legal, it’s kind of tough in the production point-of-view, you know? Gonzalo: Sometimes you think you are reaching expectations, reaching goals. And then from one day to the next one, one employee comes up with this union idea and you’re stuck with your project and you can’t do anything about it. Andrew: And you can’t code, he can’t code, and no one can code. Andrew: What about paying people? I remember paying people being a problem for some entrepreneurs. I remember one guy that said, “I make money in US to pay the people in Argentina.” Forgot exactly what he did but it was something essentially like getting prepaid debit cards from the US and giving it to people. Why do you have to do that? Gonzalo: Right now it’s very hard because customs are blocked, even to buy a dollar is blocked, there’s no legal currency exchange rate from the dollars. There are two exchanges from the US dollar. And for instance, you cannot wire transfer money. I don’t like to talk about it because it’s a very touchy. Andrew: You know what, I’m going to leave it and I’m going to tell you why. Because, like you said, it’s touchy and then what you’re going to do is you’re going to email me afterwards and say, “Andrew, I think you got me to say something that I don’t want to say. Please don’t publish.” And I know I’ll publish and then you’ll feel like you hate me and for what, for something that people can go look up online and get a sense of the politics. The challenges are that the government is trying to be very protective. It’s coming from what I think is a good place in many ways. But also, it causes a lot of problems because it puts too many hoops in front of an entrepreneur. Gonzalo: Yes, and I’m not a politician, you know? I don’t take sides. But I manage myself with common sense. And I think we don’t have it here. Or at least our government doesn’t. And that’s for every government, you know? It’s not like this specific government or anything. Andrew: My wife used to drink. She’s not a meat-eater, she’s a vegetarian, she goes, “And I could get wine for like, two dollars but it’s the best wine I’ve ever had.” And we think, “Great, I’ll start a company there.” And I think it’s important for Americans to be aware that there’s a cultural and legal distance between the way the two countries work and it’s worth paying attention to it before jumping in. And I’ve seen a lot of people who hadn’t. Let’s go back. There’s one other thing I want to say about the design. It sounds like I’m fawning over the design. What I am saying is you made great strides with the design and it’s not just me saying it. Apple called you up and asked for your permission to do what? Gonzalo: Yes, they were releasing the new iPad 2 Retina? Gonzalo: That was March but I don’t remember the year. It was 2011 I guess. No, 2012. And they called us to ask us if we have all the rights to have the content of that app. We say yes, we do have all the rights and stuff. And they said, “Okay, we might be using it for some marketing material.” And we were like, “Great! Do it.” And then we saw the keynote, we were seeing it live on the Internet, and we saw Tim Cook presenting this new iPhone and he said, “Okay. This is how the new Apple looks like.” And they put the keynote the presentation. And it was around one minute and 30 seconds, they show this family moving around. It was Madrid because I know Madrid. They were like, right next to the Museo Del Prado. They were moving around their iPad and there was our interface over there, showing augmented reality, which we were the only ones at that time doing augmented reality for iPad. Andrew: Which meant that somebody could hold their iPad up and see, because of the camera, what was right in front of them. But on top of what was right in front of them would be these little icons like a camera icon, tap the camera icon and you see a photo of what you’re looking at with your iPad. So if you’re doing it and you see the horizon is the Eiffel Tower, there’ll be a little icon above the Eiffel Tower, I could click it and I could see the Eiffel Tower’s photo clearly and information about it, and that’s the augmented reality part they wanted to show that you guys were so cutting-edge on that they turned to you. Gonzalo: Yeah, it’s made by geo-localization. So there’s no roaming with this, it’s 100% offline. The main idea when we were developing this was to have a tourist not to ask anything within the city. Sometimes, you’re a shy person travelling around. You just don’t want to ask anybody. You just want to discover the city by yourself. So we wanted to put that into the device. So when you open the camera, you move around 360 degrees and you see where the main points of interests are. If a point of interest is right in front of you, like the one they showed on the iPad presentation, there’s a small icon, you click on it, there’s the description of the place you’re looking at and everything. Andrew: It’s a really cool feature. Andrew: So that’s the kind of stuff that helped you get to $20,000. Before you hit $20,000, I think you guys made, I think, your goal was $6000 in order to quit your job. Before you hit the $6000, you made enough money that one of you could quit your job. How did you decide which one of you two would quit the job? Gonzalo: We were just about to flip the coin, to be honest. Gonzalo: Yeah, but my brother said, he was living in Spain at that time, and it was like, “Okay, you quit. You are living in Geneva. You quit and I support the business and we have some savings.” One thing that we are very proud of it is that until now we are 100% bootstrap. We haven’t got any funding at all since day one. Andrew: And it’s the two of you who own the business outright. Andrew: So much of what you do, as we’ve said, is about app store optimization, ASO. But the problem with optimization with a certain search engine, whether it’s Google, or the Apple store, is that they could change your algorithm overnight and you lose all your work. Andrew: Yeah, that sounds like it’s happened to you. Gonzalo: Yeah, it happened to us. Actually in September, around August-September last year, we had a big drop in sales, like, huge. Andrew: 70% down like that because they changed their algorithm. Andrew: So how did you recover from that? Gonzalo: We just put some work on it. We have too many apps so one of the biggest problems we have today is to update every single app. The code can be updated. We can automatize most of it. But the ASO is something you need to put your head into, something that you need to be 100% focused. And I started to investigate what we were doing wrong. We were putting different keywords on the app store, we were seeing the rankings, we were seeing our apps going down, and I just got into work. For me, last August, September, October, and November was a really, really hardworking period. Andrew: Of 2014. Did you ever bring it back to where it was before the algorithm changed? Gonzalo: Yes, right now it is. Andrew: What did you do to fix it? Gonzalo: We just changed the keywords, we changed some icons, we changed some localizations. So at that time when you read about when Apple was putting first the apps that were free instead of the paid ones. And before, it was equally shown. So at that time, we decided to go to a freemium model. Because we were not going to make the same amount of money going paid because of the new algorithm. So we went for a freemium model and that was a huge bet for us as well. Because from day one to the next one, we were going free. Andrew: Did you do it in all your stores? Or did you try it in a handful of stores and then if it worked, spread it? Gonzalo: No, we did it for the top 20 apps we have. We did it for those and it was working. Not as good, but it was working. At least the algorithm was working. So it was just a matter of conversion. We needed to study more the conversion of how people react when they see that they have to pay inside the app and we did it for all our apps. So then we started to learn a lot about conversion rate. Conversion rate is something huge. Andrew: I think what you do now, it’s the maps, I’m looking to see what it is. Augmented reality metro and maps for $1.99 or Louvre expansion pack for $0.99. I guess I’m looking at the French app, the Paris one. So that’s your model. After you did that, went freemium, did your revenues recover to where they were? Gonzalo: Yes, right now they are where they used to be. Andrew: But overall, have you made over a million sales overall from the app store? Andrew: You have. In 2014, did you beat the million sales? Andrew: But overall, how many years? Gonzalo: Overall, in all our years, yes. Andrew: And how many years were you in the app store, about five years? Gonzalo: Since the beginning? Five years, yeah. Andrew: No, actually if it’s since the beginning, then we’re talking about even six years. Gonzalo: Well, six years. Because at the beginning, we weren’t making any. Very little money. We had a 20-25% percent growth every year. Andrew: Do you make more money, you personally, here with the app store with your business than you did when you worked for HP? Andrew: You do. Okay, so it’s still a solid, big salary. One that allows you to control your own destiny, you have an asset that stands without you. So if ever you wanted to sell it, they don’t need Gonzalo to come and run it. They could still take on the business, unlike Mixergy where if I left, I think the whole thing would lose a lot of value. And so you’ve got this asset, you’ve got this business, it’s growing. What’s next for you? Gonzalo: We actually want to grow bigger. We want to go on a bigger scale. Actually if you compare with our competitors, it’s so funny because there are some tools on the Internet where you can value your business. They can have an actual number for your business, and we compare ourselves to four different competitors. And these four, they all got funded for around $5 to $10 million. Right now, we beat three of them and we are 100% bootstrapped. So right now, we are thinking of getting funded. Because we know how to grow the business. Andrew: So you’re thinking of coming to the US and looking for funding? Gonzalo: We went to Chile last week. We were looking for funding. They were really impressed for what we were doing and they are really looking forward to working with us, but we haven’t closed any deal yet. So in June, I’m going to the US for the Worldwide Developer Conference and I want to talk to some people to get funded. Because we have a business plan right now for 2015, ’16, ’17, and we know that our revenue will triple in three years. We know how to do it because we learned a lot about this market. Andrew: You know there’s one other thing I want to ask you about. I forgot to do it, but I’m looking at your Twitter profile right now and you are standing in Google with the Android, the big Android over your shoulder. You guys are in the Google store. I see you here under eTips.com, Chicago travel guides and all the other travel guides. Andrew: It’s not producing much revenue and much action for you, is it? Gonzalo: Not at all. Actually, these are our very old interface apps. We put them on the market around two years ago or so, give or take. We were just trying the Google Play store but we didn’t have the time to update the apps and stuff, and we were getting most of the money from Apple. So we just decided to go 100% Apple. Andrew: I can see it’s a test. Everything looks exactly the same pretty much. Andrew: The icons all have the same format. I can see what you did was you took a famous building there and a silhouette of the map of the country, and you combined the two with eTips and created a logo for each one and an icon for each one. And that test didn’t work out. Gonzalo: Yeah, we were testing that market, to be honest. And we didn’t do well. We just didn’t have the time. We love Apple. We love the system they have and I think the users from Apple are more willing to pay for a good app than Android. Andrew: All right. Well, thank you so much for doing this interview. I want thank a few other people for helping to put this together. First of all, as I said before, Steve Young is the guy who introduced us. If not for him, I would not meet Gonzalo and his company is appmasters.co. Check it out. He has a blog about the app. For app entrepreneurs, he does a podcast for them, he’s got an agency that helps monetize apps and promote them. And this interview was produced by Jeremy Weiss, researched by Andrea Schumann, and it’s going to be posted by [Ari Disermo], who always writes the headlines, the copy, and posts it up on the site, and you can see her on the site, in the comments. Gonzalo, thank you so much for doing this interview. Gonzalo: Thank you so much, Andrew. It was really, really good to talk to you. Andrew: Thanks. And your website is eTips.com, eTips.com. Thank you all for being a part of it. Bye, everyone!